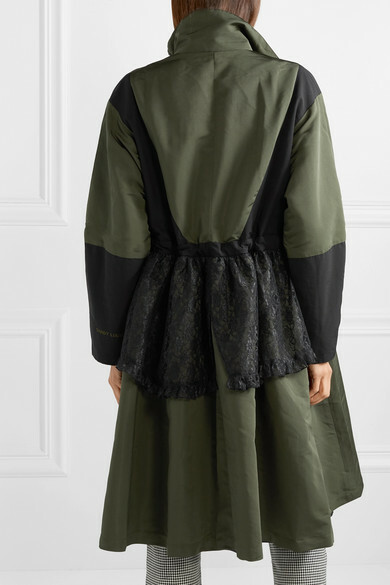 We can always count on Sandy Liang for cool pieces inspired by her Lower East Side roots. 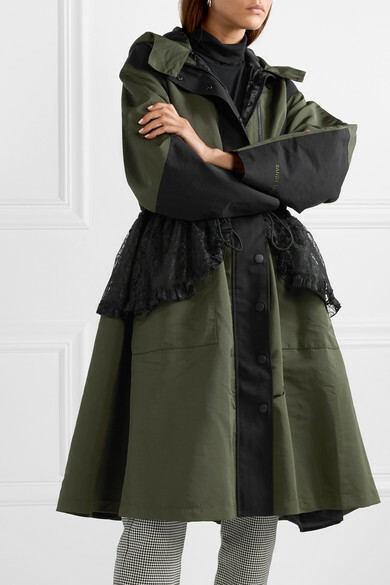 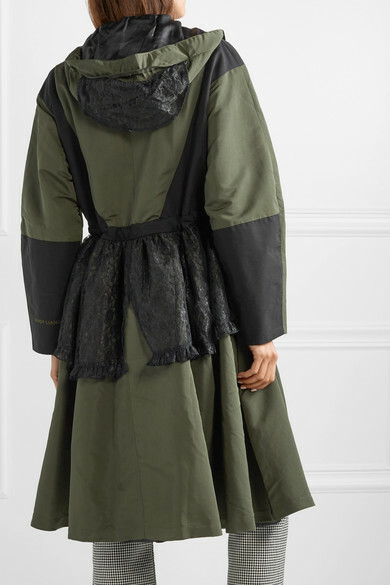 This 'Turner' coat is made from mid-weight shell with a removable hood and has Italian lace panels that create a peplum effect. 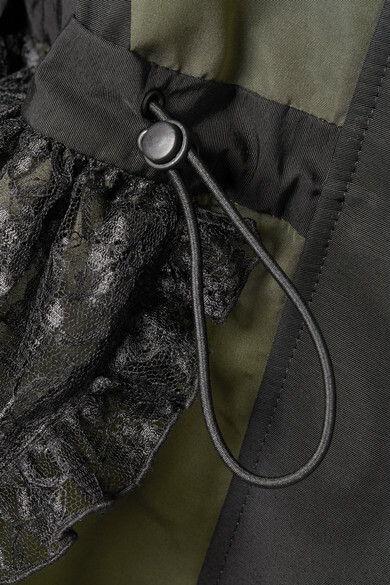 Use the toggle drawstring to cinch in your waist and define the loose silhouette. 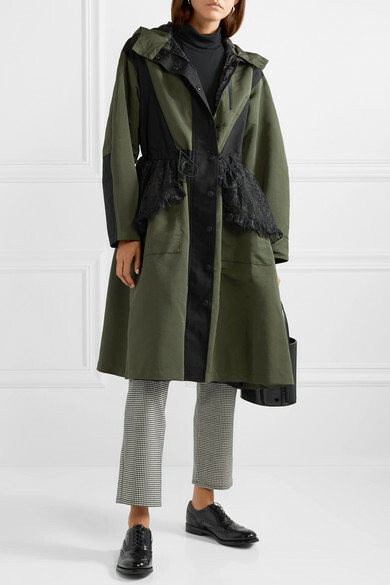 Shown here with: Theory Top, SIMON MILLER Pants, STAUD Bucket bag, Church's Brogues, Sophie Buhai Earrings.